This entry was posted on April 12, 2017 at 11:58 pm and is filed under African History, civilization., European History, Plutocracy, politics, Roots of Civilization. You can follow any responses to this entry through the RSS 2.0 feed. You can leave a response, or trackback from your own site. I agree that the cruelty of Carthage did not help, but I still think that part of the reason Carthage was reduced to ashes was that too many Roman plutocrats had their noses out of joint, and saw the chances to get a pile of slaves and make their fortunes. From a military point of view, Carthage sent 25,000 troops against the Numidians, and got into trouble. Rome then sent 80,000 troops to deal with Carthage. This was never going to end well for Carthage. Well, as I tried to explain, Carthage could have made more citizens but decided not to. That inequity was made sustainable by more cruelty. Then it went as you said, sort of. My point is that Carthage should have grown its citizenry, using the gigantic, hyper productive agricultural area she owned. Agreed that Carthage sacrificing of children was both stupid and counter-productive, but the point I was making is that if it had not sent out 25,000 troops against the Numidians, the third Punic war would not necessarily have happened. It was a bit late then to fix their population problem. There is no reason why Hannibal could not have taken Rome, simply by starving it. If he prevented all food from going in, he would be doing what Alaric, who also had no siege engines, did later on. 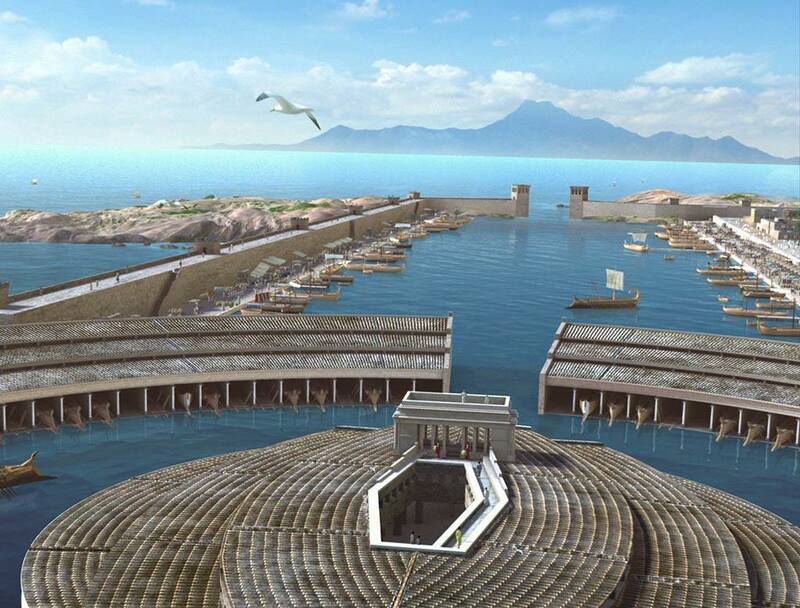 Carthage also had the advantage of control of the sea at the time, which Alaric did not have, although by that time Rpme was probably finished anyway. The problem for Hannibal was that he seemed to have no policy for finishing the war, yet after Cannae, Rome was close to being on its knees. Letting Rome get up again was not sound strategy, which, of course, led to Carthage losing the second Punic war. And will our plutocrats invite their own (and our) destruction likewise? Lost my own long comment I was trying to write. Plutos hold everything, even the so-called “liberal” press.I am banned from many “liberal” sites, no explanation ever given. The real reason is that Plutos and even the intelligence agencies hold these sites. The Daily Kos related sites (there is more than a dozen, including VOX) have carefully erased all their connection to the CIA in search engines, which used to be easy to find. It’s a shame humanity is coming down to that. I was talking today to a bookstore owner, an immigrant to the USA, who has a “European” bookstore. He is now getting discouraged… Americans don’t think anymore, he says. Fact is all of those I personally know who have TDS, Trump Derangement Syndrome, used to be extreme right wing, by my standards, a few years back (and they still are considering their blatant racism). If I talked to them indignantly about banks and Trump then, they had no idea who, what, I was evoking, and couldn’t care less. But now they are in the media, so they care to say exactly what their bosses tell them to think.